Earlier this month Professor Norm Vaughan gave a visiting scholar presentation on the topic of blended learning. Norm argued, citing the words of Gladwell (2000), that we have gone over the “tipping point”; blended learning has become an educational epidemic. The three societal forces that have converged (the perfect wave) to drive this epidemic are technology, financial constraints, and quality concerns. The blended approaches to learning that have arisen to address these forces have lead to three major non-contradictory affordances – effectiveness, efficiency, and convenience. Set against this backdrop, Professor Vaughan’s talk was designed to provide participants with an opportunity to share and discuss strategies for designing, facilitating, and leading blended learning courses and programmes. More specifically, the session offered participants with the opportunity to share and discuss strategies for: (i) designing and organizing a blended course, (ii) facilitating and moderating a blended course, and (iii) directing and leading a blended course. It is fair to say that Norm explored all three of these themes with considerable passion and the audience was highly engaged in ideas around creating and sustaining communities of inquiry. Professor Vaughan is Co-founder of the Blended Online Design Network (BOLD), a member of the Community of Inquiry Research Group, the Associate Editor of the International Journal of Mobile and Blended Learning and he is on the Editorial Boards of the International Journal of Excellence in e-Learning, Canadian Journal of Learning and Technology, the International Journal of E-Learning & Distance Education, the Journal on Centres for Teaching & Learning, the Learning Communities Journal. and the Journal of Information Fluency. At the time the following notes were prepared by Mark in his response to the above question. These notes were also provided to the National Forum on request after the event and can be downloaded at the end of this posting in a PDF format. Thank you for the opportunity to contribute to today’s panel discussion. In many respects this is precisely the type of initiative required to help build a stronger sense of shared vision for Digital Learning in Irish Higher Education. In the short time available I would like to contribute three main points to this panel discussion. ‘The overall pattern is something of a patchwork that does not present a picture of a higher education sector with a shared understanding or cohesive vision for [digital] capacity’ (Devine, 2015, p.8). ‘There is wide agreement that clarity is urgently needed about the vision and goals for digital learning in higher education nationally. Current initiatives are regarded as fragmented, piecemeal and unsustainable’ (Devine, 2015, p.18). In many respects neither conclusion is particularly surprising. The report also makes the point there is confusion around terminology. Developing a shared vision is always going to be problematic when there is no agreed definition or understanding in policy or practice of what we mean by Digital Learning. In the interests of vision building there are some advantages of leaving this definition open for local interpretation and supporting a more organic approach, but this needs to be a conscience decision and the lack of common agreement is problematic when it comes to reporting on and monitoring of progress. How do we develop a shared vision and goals for the future of learning and teaching nationally? ‘In the decades ahead, higher education will play a central role in making Ireland a country recognised for innovation, competitive enterprise and continuing academic excellence, and an attractive place to live and work with a high quality of life, cultural vibrancy and inclusive social structures’ (Report of the Strategy Group, 2011, p.17). In my view, this statement meets the definition of a vision as it grew out of a consultation process engaging a wide range of stakeholders and sets out our aspirations for the future. The National Strategy gives a sense of where we want to go in the future, with a moral purpose, and the smart thing for any emerging vision for digital learning (or Education Futures) is to ensure that it aligns with and can be mapped against this wider vision. In my view the current discourse around visions needs to shift from the reactive language of Higher Education being in change to more proactive debate about education for change. This is my second key point. Adopting a wider perspective anchored in the language of societal inclusion, and the changes we are seeking to achieve, may help to overcome the problem that visions can be blinding, overly narrow and potentially hide competing change forces. History is littered over the ages with people and groups who at times have had quite dangerous and morally corrupt visions. Hitler is usually cited as the most extreme example of this point. As the Digital Roadmap – Phase 1 (National Forum for the Enhancement of Teaching and Learning, 2014) rightly notes, digital learning is not benign. Some of the visions for the future being presented to us are infused with the language of globalisation, neo-liberal polices, and the increasing commercialisation of Higher Education. This point recognises the debate in the educational change literature about the role that visions should play in successfully implementing complex change. Conventional change models advocated by people like John Kotter usually promote ‘vision building’ as the first step in successfully implementing large-scale organisational change. In contrast, Professor Michael Fullan (2007) argues in his seminal work on educational change that vision and strategic planning come later. Vision is what you end with rather than something you start with, and arises out of extensive consultation over a long period of time where resistance is valued as a source of insight. Put simply, you cannot mandate what matters! To quote Professor Geoff Scott (2003), who with Fullan co-authored an excellent book on Turnaround Leadership for Higher Education, ‘Change is learning and learning is change’ (p.70). The lesson is that change is complex; change is a process; change is a journey not a blue print. My third key point is that there is an important difference between defining our vision and stating our respective missions. Arguably, at a macro-level vision is a process of identifying what matters most to people, making our choices explicit, and stating our preferred future(s). Mission is about how we get there and staying on track. In a complex and diverse sector each third level institution is likely to have a quite different mission. Your mission is inextricably linked to your institutional culture and the strategic goals you set for serving your students, stakeholders and wider community. As noted in the Digital Roadmap – Phase 1 (National Forum for the Enhancement of Teaching and Learning, 2014), the ‘Innovative use of digital technology will vary in different contexts’ (p.16). At the meso-level what this point reinforces for me is that each institution must be given the opportunity to define its own path in this new and emerging context. That said, how you define and implement your institutional mission it is really important. In order for the mission to live in your institutional culture we need to recognise and understand the creative tensions between bottom up, middle out and top down approaches. Neither centralization nor decentralization works as individual learning and organisational learning are inextricably linked. Moreover, at the micro-level every person is a change agent, a micro leader and they must be encouraged to become vision builders. It follows that we must not underestimate the importance of articulating, cultivating and influencing person visions. In conclusion, the report on Strategic and Leadership Perspectives on Digital Capacity in Irish Higher Education (Devine, 2015) talks about adopting the metaphor of an Atlas rather than Roadmap. In many respects, I see the challenges and opportunities facing us more akin to steering a pathway through difficult and continually shifting terrain where there is no atlas or complete road map of the digital and post-digital frontier. What we need is a compass and a set of strategic tools to help guide us and explore beyond current practices and possibilities. Getting lost along the way may be a valuable part of the process, which contributes to the evidence base and new knowledge. With this point in mind, envisioning our Education Futures will always be a work in progress, as no one can predict the future and you can never reach the horizon. There is no end point to the conversation and this needs to be understood in the policy landscape and timeframes we create. i) A set of National Guidelines for Digital Learning. Devine, J. (2015). Strategic and leadership perspectives on digital capacity in Irish higher education. Dublin: National Forum for the Enhancement of Teaching and Learning. Fullan, M. (2007). Leading in a culture of change. San Francisco, CA: Jossey-Bass. National Forum for the Enhancement of Teaching and Learning. (2014). Principles and first insights from the sectoral consultation on building digital capacity in Irish higher education: Digital roadmap – phase 1. 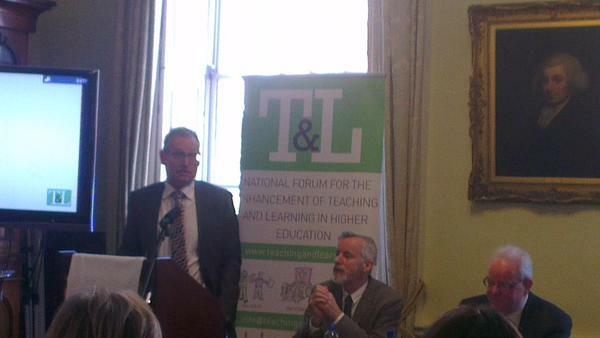 Dublin: National Forum for the Enhancement of Teaching and Learning. Report of the Strategy Group. (2011). National strategy for higher education to 2030. Dublin: Department of Education and Skills. Scott, G. (2003). Effective change management in higher education. EDUCAUSE, November/December, 64-80. 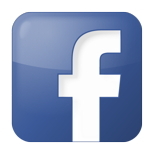 Click here to download a PDF version of the above response.